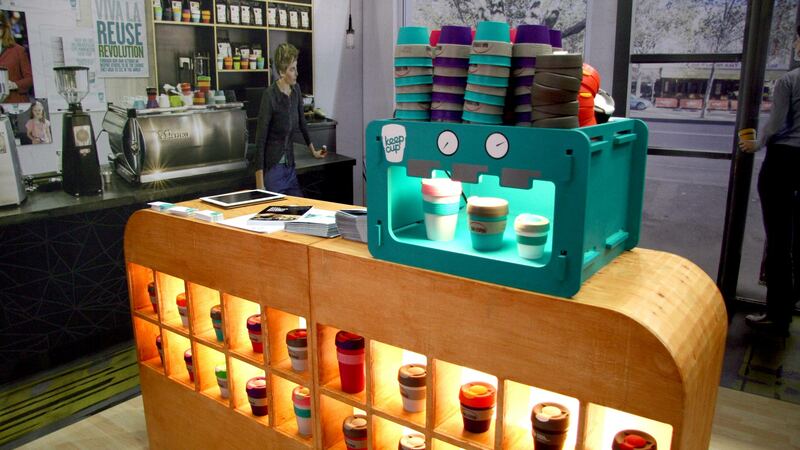 The Liqui exhibition design team were commissioned to create a unique Keep Cup trade stand that had the feel of a trendy cafe environment for the 2012 World Barista Championship in Vienna. 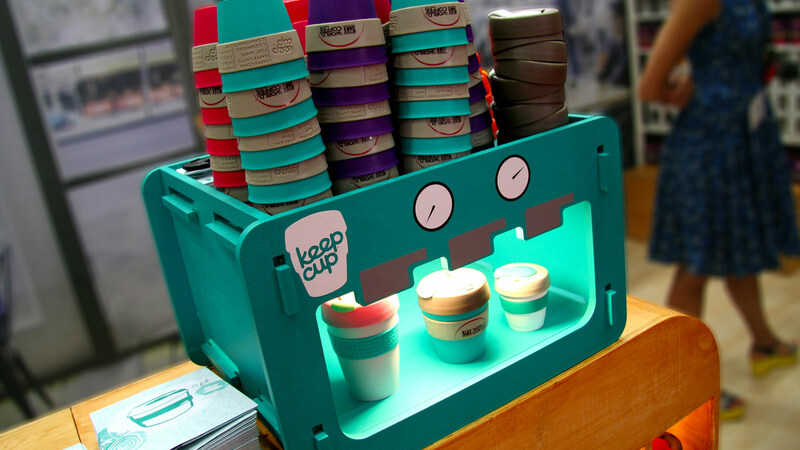 Keep Cup, a company Liqui have worked with on a number of occasions, wanted a trade show design that would set them apart from the sea of corporate and often boring pre-made bundles that populate the various trade shows they visit. 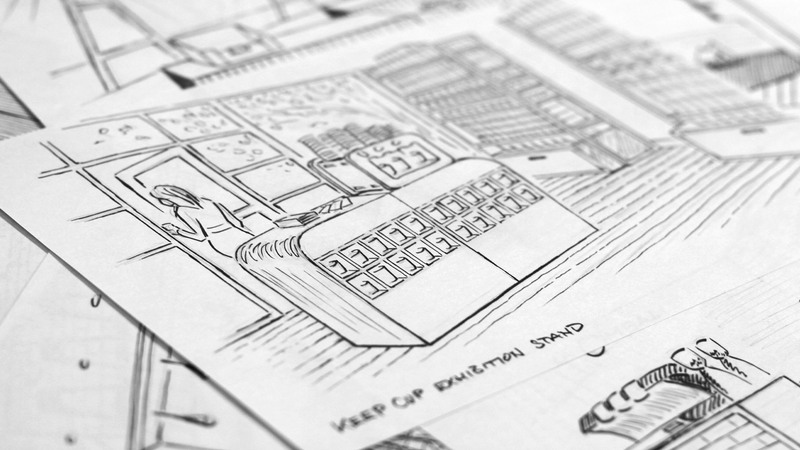 The trade stand had to be constructed in a such a way that it could pack down for easy shipping while still retaining a high quality and well-finished appearance. Liqui produced two sets of powder coated steel shelves with attractive spruce ply draws, a curved backlit minibar style counter, special edition P.O.S coffee machine and 11 meters of printed artwork in aluminium frames to create the feeling of walking straight into a trendy cafe in Australia. 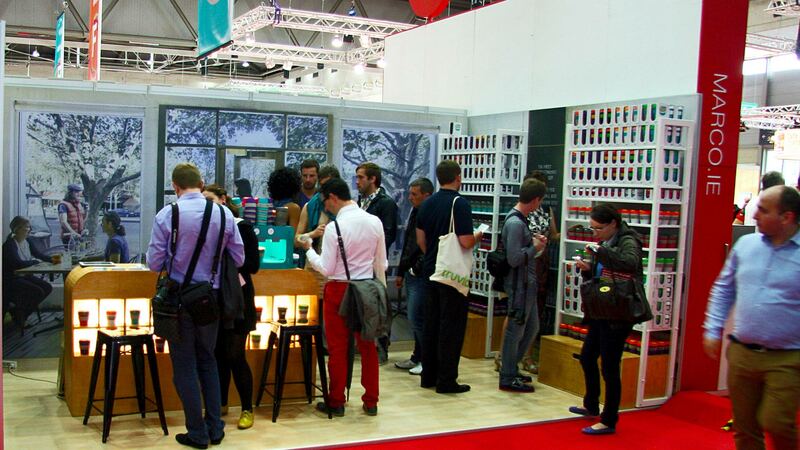 "The stand design was eye-catching, which contrasted and complimented our product perfectly garnering just the right measure of attention in itself without once detracting from our product." 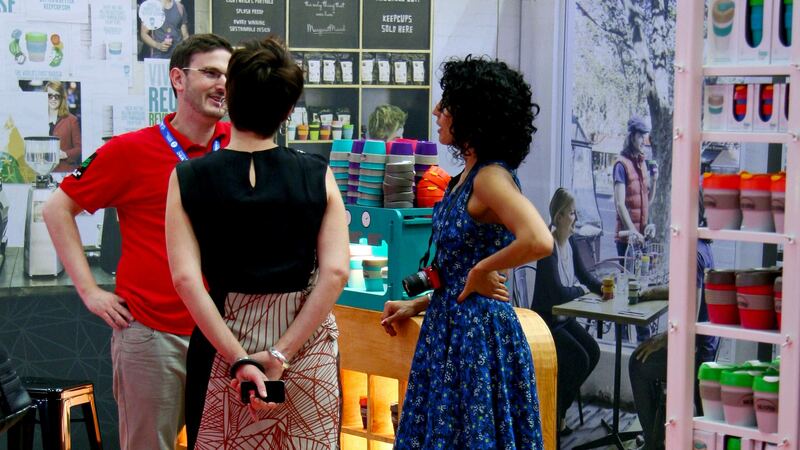 As the first point of contact on the stand the counter and mini POS had to convey the client’s company values and stand out from the competition. 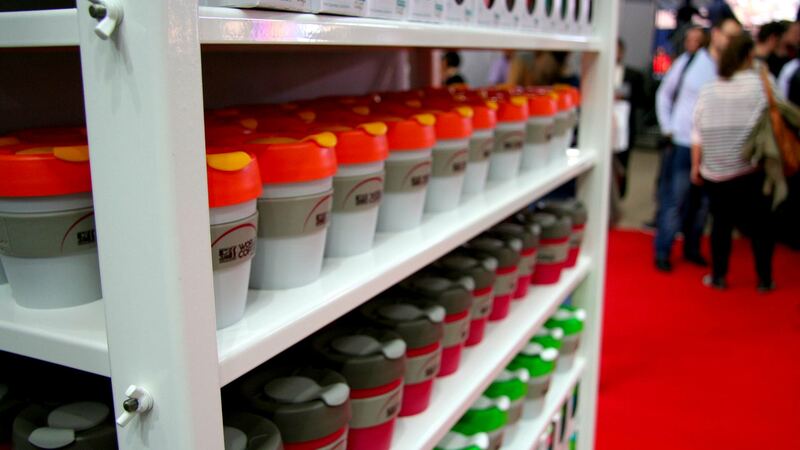 Many corporate trade stands rely on aluminium extrusions and expensive one-off carpentry, but as Keep Cup are a company focused on eco credentials and reusable coffee cups they needed a re-usable stand with softer materials. To achieve this the counter was made in two halves to allow for packing down. 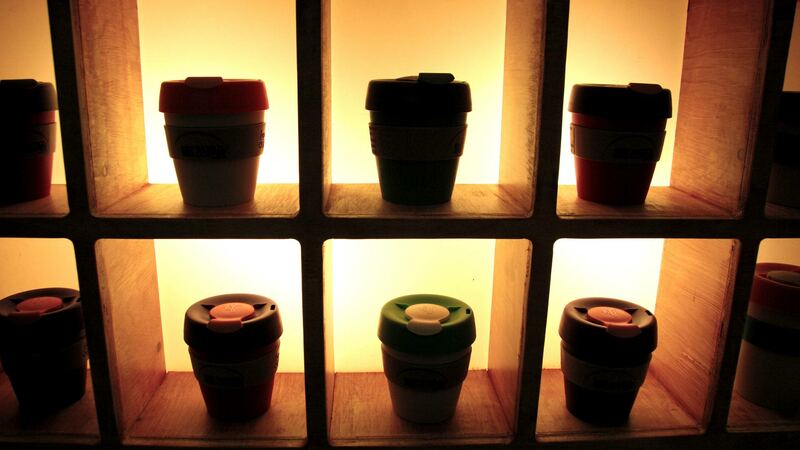 It was stained to give an aged tea-chest appearance which was offset by the colours of the products which were accentuated by soft LED backlighting to create a playful and inviting overall appearance.